A new thing here on AMB. What I’m currently coveting from the worlds of wellbeing, beauty, interiors, fashion and everything in between. This week, it’s all about doing some serious purchasing for the home. We’ve been in our flat over 3 years now and are in desperate need of some updates. That whole back-to-school mentality hasn’t just got me craving a fierce new Autumn wardrobe but a new look in our flat too – like the complete opposite of a Spring clean haha. Definitely having a copper love-in at the moment accessory-wise. And who says you can’t have chic clothes hangers? Those Zara versions maybe a bit pricey are a damn sight better that their plastic counterpart and will actually keep some shape to your clothes. Are you sprucing up or switching up your home look? 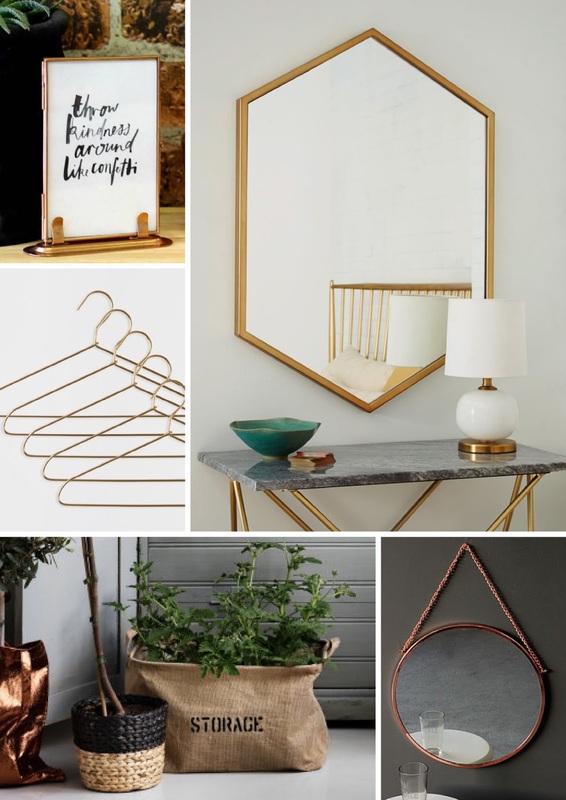 Having a major copper moment like me? Hit me up with items you’re loving.